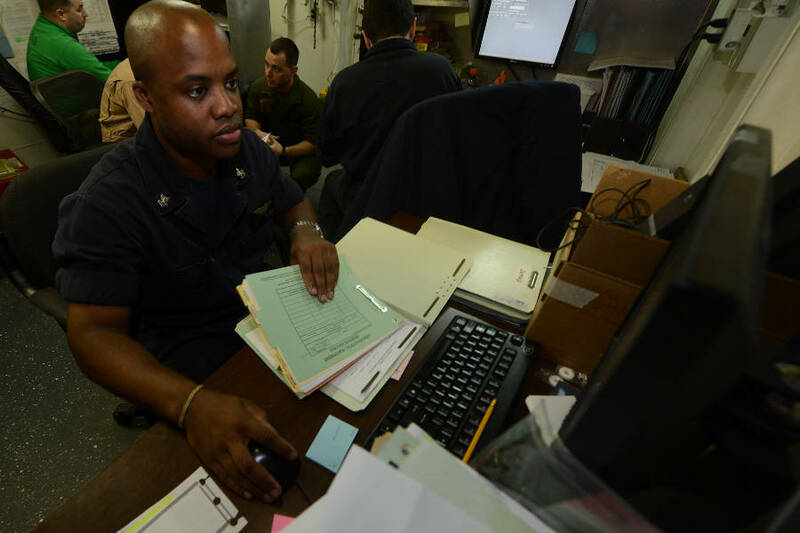 ShipFever > Marine > Ship Operation > What Are Logbook And For What They Are Used For ? You must have been asked many a times to fill a record book; whether be on ship, as a driver or being part of a business institution. Many a times we just do things for the sake of doing; without ever knowing what it really is and what does it used for ? A Logbook is an official document having records of important events and actions; taken in a particular time interval. For long chemist used to take; note of every events and actions they take to reach to a final solution. This helps them to monitor and locate; possible point of error and give opportunity to fix in future. 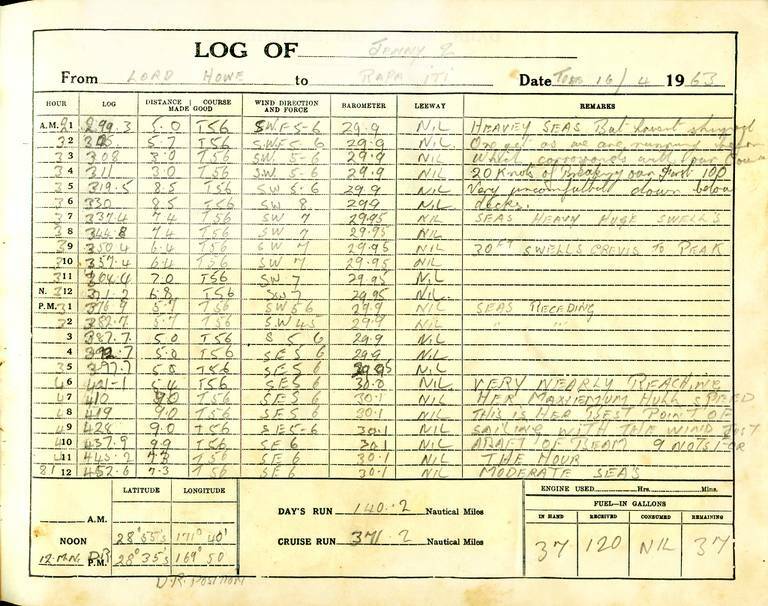 Similarly a Logbook is used to analyze performance of an unit, ship, industry, person or business; with the ability to do post damage analysis finding the cause. Many a times they are also required by law or authorities; to ensure compliance to certain rules or just filling tax returns on business. Furthermore they are also required by the insurance company; to insure property or business. A logbook usually contain information such as; monetary transaction, training record, action taken and records in general. You can consider it as the book with predefined set of questions in it; for which you need to fill in the blanks with the correct answers. A logbook is required to be simple; easy to read, easy to fill and customized based on the use / application. 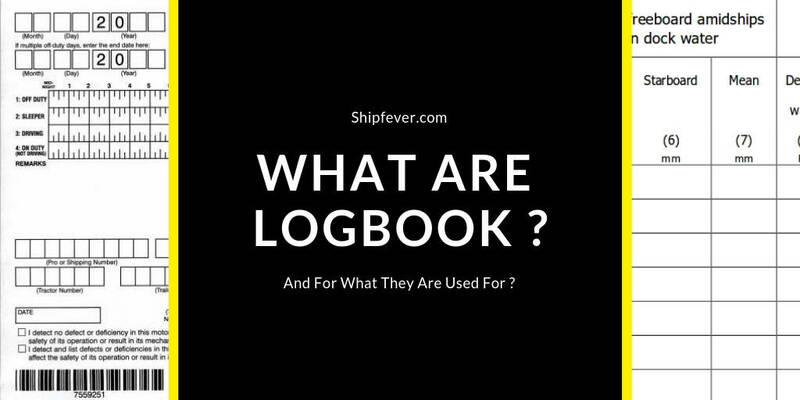 Why Having A Logbook So Important In Ship & Business ? A log book is the proof of your activity and actions taken in real time; ready to be looked at in the future. On ship this can be events in navigation, operation and control of the ship. Similarly this can be a record of hours you have worked, achievements, hours you volunteered and personal and business trips you made within a particular fiscal year. Having a Logbook on ship and industries ensure safe operation with proper preventive maintenance. Furthermore it acts as a legal document for the certain steps and procedures; to be followed before reaching a particular sea water or to follow local rules. Basically it is a proof of what you actually did against what you said you do. For trucks and commercial vehicles it helps monitor the mileage and performance of the vehicle; similarly on ship it monitor performance of equipment to predict the need for next preventive maintenance and spares to be ordered in advance. Furthermore this can also be beneficial to detect flaw and improve efficiency of the plat or ship. This legal document with actions events written against the significant time; helps keep records of fleet or business in a central database. This helps improve efficiency saving unnecessary cost. Furthermore it helps being on the safe side of the local and international laws; with a easy time working with insurance and tax return if any. Keeping a record / logbook is an integral part of ships safety management system; which is an integral part of the ISM code 1994-2018. The ISM stands for International safety management code and accounts to provide international standard; for pollution control; safety, management and operational capabilities. Under ISM code 11.3 a ship is required to have a central database for all logs and records related to ship operation, spares and maintenance. Furthermore there should also be adequate backup including in form of hard copy. These hard copy is then required to be stored; for at least next five years before any further action. All record and log books of international vessels must be filled in English language. They are required to be signed and counter signed by two different designated officers. All entries made must be true and precise to the relevant date and time. In event of false entries or damaging the records and log; the designated officer can be finned and charged with criminal act. All entries made should be clear and amendments if required should be made with a single strike avoiding over writing or covering the mistake. The logbook of any kind is required to be closed only when a year is passed from the time opening it; or the ship is unregistered / changed its flag state / changed to new registry. A ship is required to have a continues synopsis record under SOLAS 1974, section one of five for regulation eleven ( XI – 1/5 ). It basically contains the records for ships history. Similarly a ship is also required to maintain a record associated to ships security plan; under the compliance of SOLAS 1974, section two of five for regulation eleven ( XI – 2/5 ) and ISPS Code. An Oil record book under Marpol annex one regulation 17 and 36; store all the records of cargo operation related to oil, bunkering and accidental oil spill if any. All ships with 400 and more gross tonnage is required to have an official oil record book ( part I ); while oil tankers above 150 gross tonnage are required to have oil record book ( part I & II ). Similarly all ships above 400 gross tonnage or caring more than 15 crew is required to have; a dedicated garbage record book under Marpol annex five regulation ten. The other record book a ship is bound to carry are; record book for ozone depleting substance and one related to ballast water management. I have already discussed in past about Marpol annex five and the need for garbage record book. You can read the post “Marpol Annex 5 And Its Latest Amendments” from link over here. Bridge is the place from where the ship is controlled and all necessary actions are taken related to its safety and management. This is why the official log book; also termed as bridge log book resides at the bridge of the ship. The officer on deck is responsible to fill in the the log book as per the rules and requirement. The officer on deck has to fill the ships position, weather condition; ships condition ( rolling, pitching, any abnormality if any etc ), captain name with COC details, any change in course if any and speed of ship. They are also required to fill about the next port, last port, drill conducted, compass readings, records of inventory; collision or grounding, oil spill and damage to ship if any. In part two of the official log book; they have to fill information regarding the ship Articles. This contain important information such as; serial number, call sign, IMO number, Serial Number, ship’s particulars, registered owner, and crew particulars / details. Just like official logbook on deck; engine rooms have their own log book which is called engine room log book. An engine room logbook contains all records related to; machinery, their spares, maintenance, breakdown, accident, engine parameters and pump operational records. Furthermore it also accounts for records such as, location of ship, quantity of oil received, quantity of oil used, lub oil consumption, bunkering operation, bildge discharge, sludge, engine rpm, spares in store etc. Filling a Logbook is relatively easier than the common believe. Being an official document it brings in sense of doubt and fear; which make us overthink and make silly mistakes. Just consider it like copying important notes you take throught the day or particular time to a nice to read and find notebook. Start by filling the key points at the start of the Logbook. Its simple; all is written in place and you just have to fill in the blanks. Try to fill the logbook as soon as possible to the actual events; to avoid chance of error or loss of data. Fill in the details and records as per the designated date; once done due sign the entries and send to higher authority to cross check and ensure everything is correct. Many a times some information can’t be filled in the designated space provided in the log book. On one such case you should write on an external piece of paper attached to the log; while providing a reference number of the external document in place. Under no circumstance over write on the logbook. In some logbook as used in shore based industry and business; you need to provide the hour of your work. You can either write it in number or can use a straight line to specify on the given graph. Only make corrections with due sign if asked by the superiors; use a single strike to cancel the last entry and write in the adjacent empty space. Do We Need Log / Record Book In Personal Life ? Let’s face it ! Its frustrating and hard to maintain writing records of key action, events and transaction of the day each night. Even you may wonder sometimes what its use in future; but i really pays off when most needed. While we have records of calls on our mobile, major transaction on bank statement; we still need to log it down to avoid missing on small points which too matters. Personally i keep records of my all transaction and expenses for the day on page on page basis for designated date. While in short term it helps keep a check on my unnecessary expense; and help find the hole where the money is slowly poring through my monthly budget. In long run it become very handy specially during monetary dispute with friends and business partner in general. The budget planner record book helps me look at the particular day expenses and events in a better picture; any where in the distant future. The best part of all is the events and actions already broken on a day to day basis; making it easier for me to scan through. Its simple cost effective and efficient solution to your financial management. One can buy one such record book with professional looking design and features; from link over here on amazon. So stop freaking out on your empty pockets at the months end and take control Over your finances. At last there a reason why they ask us to maintain log on ship, business and institution; its jut increase transparency and reduce loss. So why can’t be wise enough to replicate the same in our life.